One of our GG members gets creative with his use of media for his contest entry. Behold! It used to be a hilarious way to die, but it’s gotten kinda stale. He should also avoid peanuts. 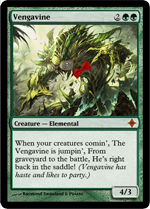 When your creature’s comin’, The Vengavine is jumpin’, From graveyard to the battle, He’s right back in the saddle! 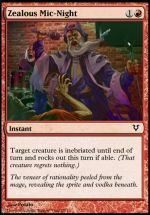 Le-bron Mage is ON FIRE!